Just the other day, my husband and I were at Costco, and I was super tempted to purchase these trees for our mantel when the holiday season is here. I’m always a little eager to decorate for the holidays (if it were up to me, I’d have everything up in mid-November), but I held back from purchasing them. Oh, and we also decorated for Halloween. I totally forgot just how many decorations we purchased after Halloween last year haha! Pulling all of the Christmas decorations from the attic is going to be a surprise for sure, because I know we ransacked stores once things got to be 75% off last January. 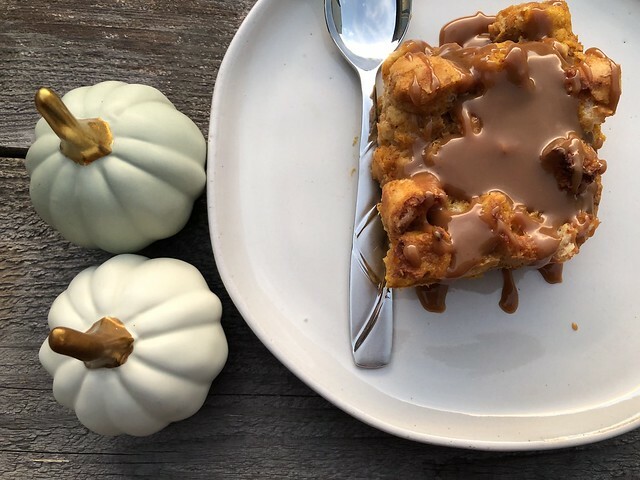 This is a twist of the popular Pumpkin Cream Cheese Muffins that are typically seen in a certain coffee shop during the fall, and while the twist is subtle, oh man…it MAKES these muffins! Instead of filling with a plain, sweetened cream cheese, I decided to add in some espresso powder (since I’m ALL about the pumpkin spice coffee lately) with a little bit of cinnamon as well. The dozen muffins that I brought to work didn’t even make it to the break room table! 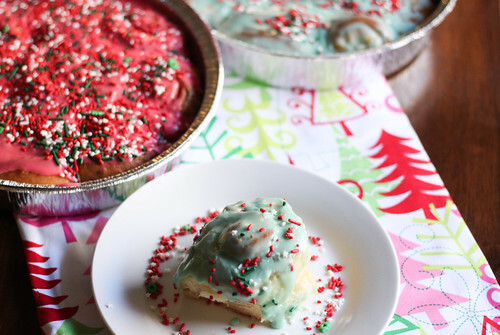 (If my coworkers see me with an aluminum tin, they know some baked goodness is hiding underneath the foil.) While these muffins do take a few steps more than normal muffins (due to the layering of the batter/cream cheese/batter/streusel topping), it’s definitely worth it. To make the filling, mix the cream cheese, confectioners’ sugar, espresso powder and cinnamon together in a medium-sized bowl, until the ingredients are well-mixed and the mixture is smooth. Place a large piece of plastic wrap on the counter, and transfer the mixture to the plastic wrap. Shape the mixture into a 1 1/2 inch diameter log, and then wrap the cream cheese mixture tightly with the plastic wrap. Then, wrap the plastic wrap with foil, and place the cream cheese mixture in the freezer, for at least 2 hours (making sure the log is at least slightly firm before using for the muffins). Once the filling is ready, make the muffins. Preheat the oven to 350 degrees F. Prepare two muffin pans by lining them with cupcake/muffin liners and set aside. In a medium-sized bowl, add the flour, cinnamon, nutmeg, cloves, pumpkin pie spice, salt and baking soda. Whisk the dry mixture well. In the bowl of an electric mixer, add the eggs, sugar, pumpkin puree and oil. Mix the wet ingredients on medium-low speed, until well-mixed. Turn the mixer on low speed, and add in the dry ingredients, mixing everything together until just incorporated. Set aside. Assemble the muffins by filling each liner with about 1-2 tbsp. of muffin batter, making sure to just cover the bottom of the muffin liner. Take the cream cheese log out of the freezer, and slice it into 24 equal slices. Place a slice of the espresso cream cheese mixture into each liner, on top of the just placed muffin batter. Divide the rest of the muffin batter among the muffin liners (until about 2/3 of the way full), being sure to completely cover the cream cheese slices. 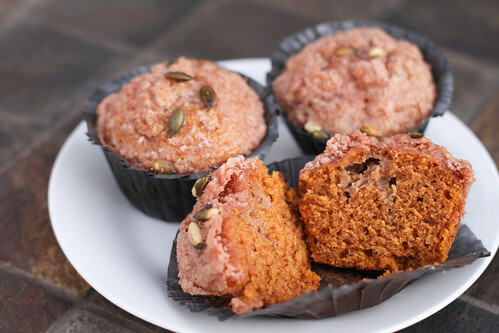 Lastly, sprinkle the streusel mixture (as well as the pumpkin seeds, if you wish) over each of the muffins. Bake the muffins for 20-25 minutes, and then transfer the muffins to a wire rack to allow to completely cool. Note: DO NOT consume these muffins until they are completely cool, because the cream cheese will be ridiculously hot on the inside after baking. Enjoy! I know some things are better done by hand when it comes to cooking and baking, however, I love a good shortcut. The last time I made scones, I made them by hand. It was quite an arm work-out, and they took a good bit of time to make, but they were worth it. Homemade scones almost always are. A few months back, I gathered up a couple of gift cards and purchased a food processor. We’ve always had a mini food processor, which was great, but I really hated doing things in small batches and well, sometimes the mini food processor couldn’t handle things. This one, however, is a work horse. When I thought about making scones, I was so excited because hey, any excuse to use a new toy, right? These scones came together incredibly fast. In fact, I ended up making 3 batches of these in one afternoon for my husband’s coworkers. SUPER easy. I added coarse sugar on top, because that’s how I’ve had them at a few bakeries, and I love the added crunch. The scones themselves were so tasty. I tried one with dried blueberries, and loved that they were so buttery in flavor and not too sweet. Totally perfect with a cup of coffee..totally. I made them with dried cherries and dried blueberries, but I imagine they would work beautifully with cranberries, too. Move the oven rack to the middle position and preheat the oven to 450 degrees F. Prepare a baking sheet by lining it with parchment paper or a silicone baking sheet. In a large food processor, pulse together the flour, sugar, baking powder and salt, about 3 times. Add the butter evenly over the top of the mixture and pulse the mixture again until it looks like coarse meal with a few slightly larger pieces of butter, which will take about 12 more pulses. Transfer the butter/flour mixture to a large bowl and stir in the dried fruit. Stir in the heavy cream, until dough begins to form. Turn the dough and flour bits onto a lightly floured surface, and knead the dough for about 5-10 seconds, until a rough, slightly sticky ball forms. Pat the dough evenly to a 9 inch round and cut the dough into 8 wedges. Place the edges on the prepared baking sheet, spacing them about 2 inches apart. Sprinkle the tops of the scones with coarse sugar, if using. Bake the scones until the tops are lightly golden brown, about 12-15 minutes, rotating the sheet halfway through the baking process. 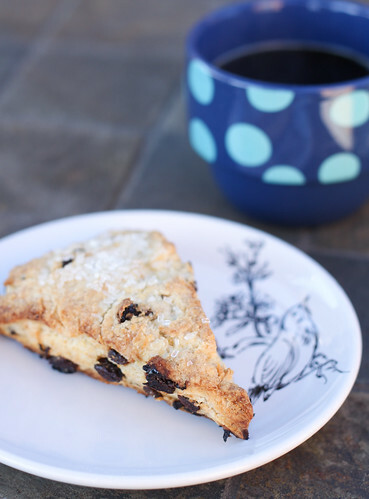 Place the baking sheet on a wire rack, allowing the scones to cool for at least 10 minutes. 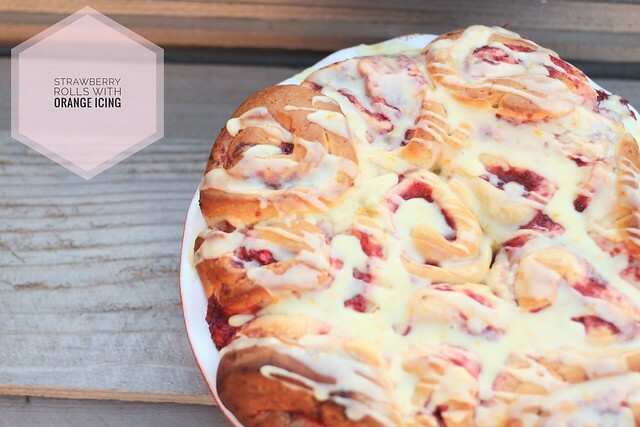 Cinnamon Rolls & A Giveaway! It’s amazing how quickly one can go through butter for holiday baking, so it’s essential for me to stock up when it goes on sale! Usually $2/lb. is my stock-up price, and when I stock up, I usually buy 10 lbs. at a time. I have to wonder what the cashier thinks of me when I purchase all that butter, and I’ve been asked if I own a bakery once. Nope…I just LOVE to bake! This recipe for cinnamon rolls goes through some butter, y’all. At first, I thought there was no way all of that butter was going to go in the cinnamon rolls…no way. However….yup…I used over a pound of butter in a batch of cinnamon rolls. 4 sticks alone served as part of the filling! Now, this recipe isn’t just for 8 rolls…I got 48 rolls out of this recipe. 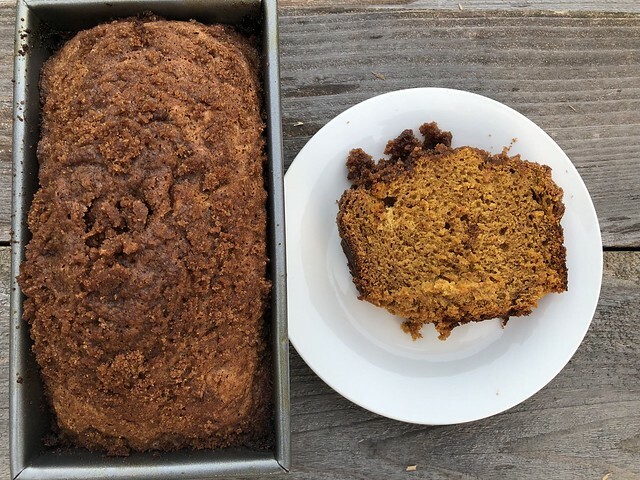 It’s the perfect recipe for gift-giving, and it comes from someone who is always cooking for a crowd: The Pioneer Woman. I’ve heard so many wonderful things about her cinnamon roll recipe, but since it’s such a large recipe, I felt like I needed an occasion to make these. Well, how about the holidays? When this recipe makes 6 pans worth, you could totally get away with gifting this to neighbors, family, friends….whoever you want! I took a tip from The Pioneer Woman, and baked them in cheap disposable baking pans. 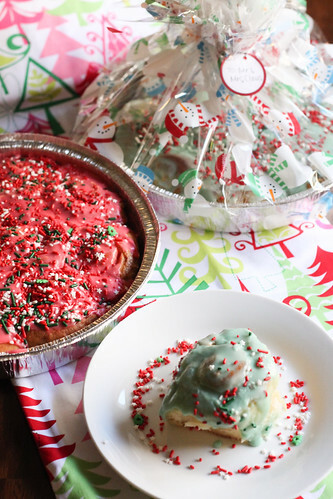 While they aren’t the prettiest, you can totally dress up the pan by dying the icing, adding sprinkles on top of the rolls & wrapping the pan in holiday cellophane paper! How awesome would it be to give something like this to a loved one? These cinnamon rolls were divine. Just…divine. This is my first time making cinnamon rolls from scratch, and I firmly believe that the scent of butter/sugar/cinnamon/dough needs to be in a candle. Holy moly…it smelled like king cake in our house! 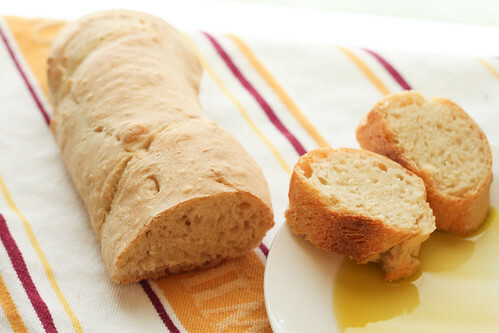 The rolls themselves were a tender, fluffy texture, thanks to Red Star Platinum yeast. I first heard about Red Star Yeast when I attended a King Arthur Flour seminar a couple of years ago. We were given samples at the seminar, and when I baked with the yeast, I was so surprised at how well the dough rose! I ended up purchasing a full 1 lb. block of Red Star Yeast the next week. I’m definitely a fan of their yeast. Y’all. I just can’t stop thinking about fall spices. I can’t get enough of the spicy, warm scents in our house, and even though the weather hasn’t caught up yet, I’m baking up a storm! I’ve already gone through 3 cans of pumpkin, picked up all of my favorite fall spices (since a few were running low from last year) and I’m fairly sure my mixer is enjoying those precious little breaks ever so often. This recipe is out of the norm for me. You see, when I started baking, I tried to be brave and try recipes involving yeast. I can’t tell you how many times the yeast just wouldn’t rise. I figured out that my error was probably in the temperature of the water, since yeast can easily die if you use too hot of a liquid in your recipe. So now when I bake with yeast, I’m very mindful of the ingredients’ temperature, and sometimes err on the cooler side, just in case. To make the dough, in the bowl of a stand mixer (fitted with the paddle attachment), whisk the eggs until combined and add the buttermilk, whisking to combine as well. Add the sugar, salt and yeast to the mixer and mix well. Add 2 cups of the flour, as well as the melted butter, and mix until the mixture is evenly mixed and moistened. Add another 2 cups of flour to the mixture, and switch out the paddle attachment for the dough hook, and knead the dough on low speed for 5 minutes. Once the kneading is done, check the consistency of the dough (dough should feel soft and moist, but not wet and sticky…if you need more flour, add the extra 1/4 cup in). Knead the dough on low speed for 5 more minutes, and you’ll notice that the dough should clear the sides of the bowl but still stick to the bottom of the bowl. Place the dough on a lightly floured work surface, and knead the dough by hand for about a minute to make sure that the dough is uniform (if the dough is still sticky during hand kneading, knead in more flour 1 tbsp. at a time). Spray the inside of a large bowl or plastic container with nonstick cooking spray. Place the dough in the bowl, and lightly spray the dough with cooking spray as well. Cover the bowl tightly with plastic wrap, and place it in a warm, draft-free place until the dough has doubled in volume (about 2 – 2 1/2 hours). While the first rise is happening, make the glaze. Combine all ingredients for the glaze in a small saucepan, and cook the mixture over medium heat (whisking occasionally), until the butter is melted and mixture is thoroughly combined. Pour the mixture into a nonstick metal 9×13 inch baking dish, and spread the mixture evenly with a rubber spatula to completely cover the surface of the baking dish. Set aside. Now, make the filling by combining the brown sugar, cinnamon, cloves and salt in a small bowl, and mix everything until well-combined (making sure to break up any sugar lumps). Set the mixture aside. After the dough has finished its first rise, place the dough on a lightly floured work surface. With a gentle hand, shape the dough into a rough rectangle with the long side nearest you. Lightly dust the top of the dough with flour, and roll into a 16×12 inch rectangle. At this time, brush the dough with the 1 tbsp. of melted butter, being sure to leave a 1/2 inch border along the top edge of the dough. After you’re done buttering the dough, with the remaining butter on the brush, brush the sides of the baking dish. Sprinkle the filling mixture over the dough, making sure to leave a 3/4 inch border along the top edge. When all of the filling is used, smooth the filling in an even layer with your hand, and gently press the mixture into the dough to adhere. Starting with the long edge nearest you, roll the dough into a tight cylinder. Firmly pinch the top seam to seal the dough, and roll the cylinder seam-side down. Gently stretch the cylinder to an even diameter and an 18 inch length. If necessary, push the ends in to create an even thickness throughout. With a serrated knife and gentle sawing motion, slice the cylinder in half, then slice each half in half once more to make even sized quarters. Then, slice each quarter evenly into thirds, making 12 buns. Place the buns in the prepared pan, cut-side down. Cover the pan tightly with plastic wrap, and set the pan in a warm, draft-free spot, until the buns are puffy and are pressed against each other, about 1 1/2 hours. While the dough is in its final rise, place the oven rack in its lowest position. Preheat the oven to 350 degrees. Once the buns are done rising, place the pan in the oven, and bake the buns until they’re golden brown, and the center of the dough reads 180 degrees on a digital thermometer (about 25-30 minutes). Cool the buns in the pan on a wire cooling rack for 10 minutes, and then invert the pan onto a rimmed baking sheet, large serving platter or cutting board. Using a rubber spatula, scrape any leftover glaze from the pan onto the buns. Allow the buns to cool while making the pecan topping. To make the topping, add the butter, brown sugar, corn syrup and salt to a small saucepan and cook the mixture over medium heat, until it reaches a simmer, stirring occasionally to thoroughly combine. Remove the saucepan from heat, and stir in the vanilla extract and pecans, until the pecans are evenly coated with the sauce. Using a spoon, spoon a heaping tbsp. amount of nuts/sauce over the center of each bun. Continue to cool the buns until they are just warm, another 15-20 minutes. 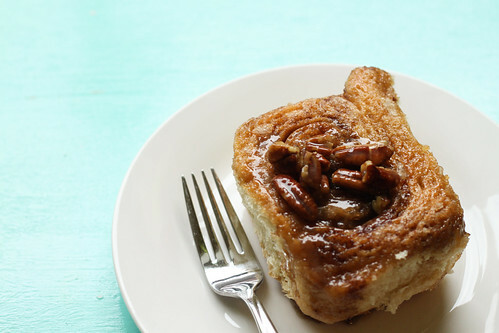 Pull apart the buns or use a serrated knife to separate the sticky buns and serve. It’s been a while since I’ve consistently lost weight. I’ve been hovering around the 70 lbs. lost mark for about 3 months now, and while it’s great to know that I can maintain the loss, I really miss that loose clothes feeling. 🙂 I started a new weight training program last week, and it made me forget just how amazing weights can be. Currently, I’m working out 4 days a week straight, with 3 rest days, which is how the program is outlined. For those four days, my weight dropped a little, but once those rest days hit, the scale had a huge drop. I was completely shocked to see a number like that, and it’s super motivating to get back on track. My original goal was to hit Onederland (199 lbs.) by Halloween, but I’m not sure at this point if that’s possible. We shall see, though. Last Halloween, I hit 50 lbs. lost. How perfect would 100 lbs. lost be? (even though I’d probably gain 2 back testing out candy for Trick or Treaters). Preheat the oven to 350 degrees, and line a muffin pan with paper liners. In a medium sized bowl, whisk together the flour, baking soda, baking powder and salt until everything is well-mixed. Set this aside for later use. In a large bowl, mix together the bananas, granulated sugar and brown sugar. Mix in the egg, applesauce and vanilla extract, and beat everything for about 2 minutes. Add the flour mixture to the banana mixture, and slowly mix everything together until just mixed (don’t over-mix). Scoop the muffin batter into the prepared muffin tin, filling each liner 3/4 of the way full. Add 1 tsp. 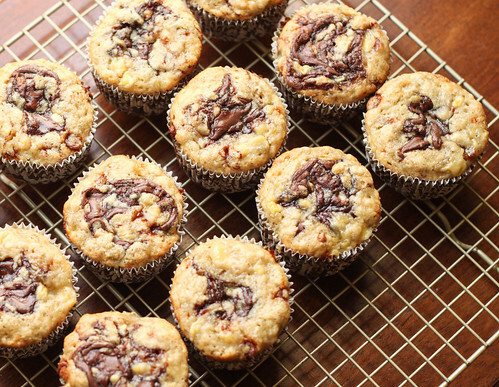 of nutella to the top of each muffin, and use a toothpick to swirl the nutella into the muffin batter. Bake the muffins for 15-17 minutes, until a toothpick inserted in the center of the muffin comes out clean. My husband and I really love bread. Before our weight loss journeys began, we could easily put away a loaf of bread between us, especially if it was warm right out of the oven. Oh man. This time, I was super careful about my water temps….since this bread takes a LONG time to be oven-ready, I wanted to make sure that water temps weren’t the culprit. It worked out beautifully. The bread is VERY crusty (I sprayed water like crazy on it before placing it in the oven), with a nice soft interior. It’s not like the french bread out here (which is usually for po’boys), but it’s a wonderful bread nonetheless. While it takes a while to come together, the actual work time on this couldn’t be quicker. It’s very simple to throw together the dough (especially if you have a stand mixer)…you just need some patience for the rising times. Mix the ingredients for the starter, until everything is well mixed and smooth. Cover the starter with a kitchen towel, and allow the starter to rest at room temperature overnight. The next day, mix the starter with the remaining dough ingredients, and knead the dough (by hand or using a mixer), until the dough is springy but not completely smooth. Transfer the dough to a lightly oiled/greased bowl, cover with a kitchen towel, and allow it to rise for 3 hours. After the first hour of rising, gently deflate it and turn the dough over, and then do the same thing again the next hour. Divide the dough in half, and shape the halves into a rough oval. Allow it to rest for 15 minutes, then fold each oval lengthwise (carefully sealing the edges) and using cupped fingers to gently roll each piece into a 17″ log. Transfer the loaves onto a lightly greased or parchment/silicone lined pan. Cover the loaves once again, and let them rise until they’re puffy, but not yet doubled (this will take 2-2.5 hours). In the last 15 minutes of rising time, preheat the oven to 425 degrees F. Gently make three diagonal 1/3″ deep slashes in each loaf of bread, using a sharp knife or razor blade. After the rise is done, mist the loaves liberally with warm water. Bake the baguettes for 22-28 minutes, until the tops are golden brown. Turn the oven off, crack the door open a couple of inches and allow the baguettes to completely cool in the oven.